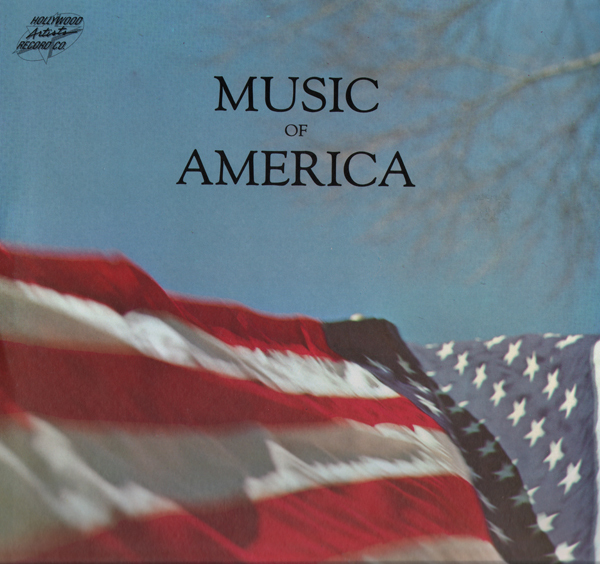 From the back cover: Michael Sarkissian, in addition to boasting a vast knowledge of oriental and Middle Eastern art, is one of America's foremost directors and interpreters of music of this part of the world. He has appeared as singer and conductor on many television and radio programs with top personalities such as Bob Hope, Jerry Colonna, Pat O'Brien and Frances Langford. Born in the United States of Armenian parents, he learned the rudiments of Armenian music and Middle Eastern dancing at an early age. When he was 14, he formed his own orchestra. During the second World War, he served in the special service branch of the Air Corps, appearing as soloist, orchestra member and musical director in many shows. Following the war, he appeared in numerous night clubs, until he decided to open his own club. This he named Cafe Bagdad, and it has become a kind of diplomatic center for the furtherance of Middle Eastern music and dance. 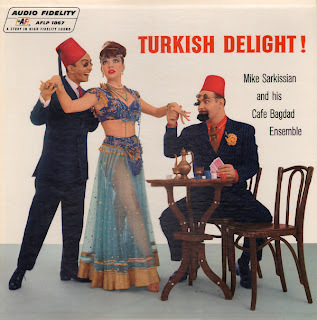 As Sarkissian puts it, "We created a sort of musical Mecca for our people, but soon found out that not only our people but those of other lands appreciated our music and traditional dance." 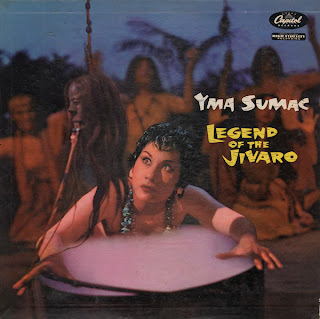 This from the back cover: To unearth the Jivaro music – the stories their ancient songs tell, the musical instruments of their culture – Yma Sumac and her husband, Moises Vivanco, one of the foremost authorities on ancient music, travelled deep into the headhunters' native territory. There, her mastery of the Jivaro dialect (she was reared less than one hundred miles from their land) helped facilitate the research in that strange and obscure society. Dang... that makes for a great story and creative platform for this terrific concept album! However I don't see Sumac, at this stage in her career, hovering over a cauldron of mystery meat to gather inspiration for a new album. Sumac and Vivanco divorced in 1957, remarried the same year and divorced again in 1965. None-the-less, Billboard was convinced that the couple did, indeed, make a trip into the back country even though they were unclear about her marriage status. 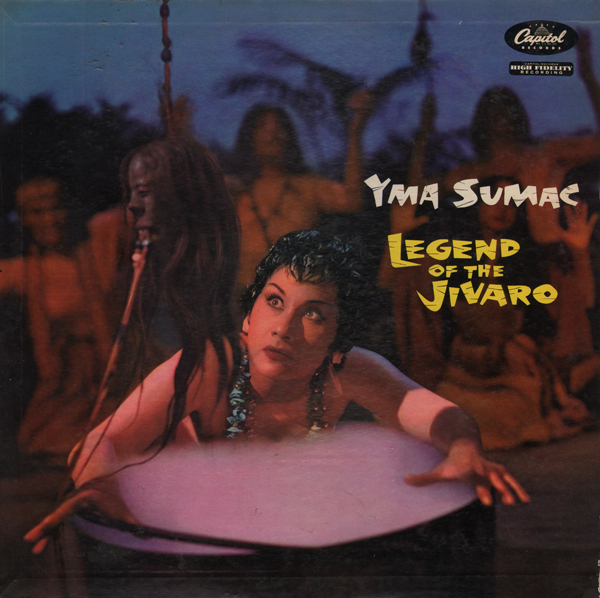 From Billboard - January 26, 1957: Miss Sumac takes off on a wild series of vocal calisthenics in which she portrays a series of authentic native melodies and dances of the Jivaro headhunters of South America. Miss Sumac and her husband, Moises Vivanco, obtained the basic material via a trip into the savage territory with a tape recorder. This was then arranged for the singer, choral group and drums. Notes explain in some detail what each of the selections signifies and for those who want to increase their own cultural knowledge this can prove an interesting addition to a collection. Out of all the unbelievable records I've found, this Omega release takes the cake. Look at this cover. Nice huh? Are you ready for a little jungle rhythm? Yeah, me too! Look at the back cover. 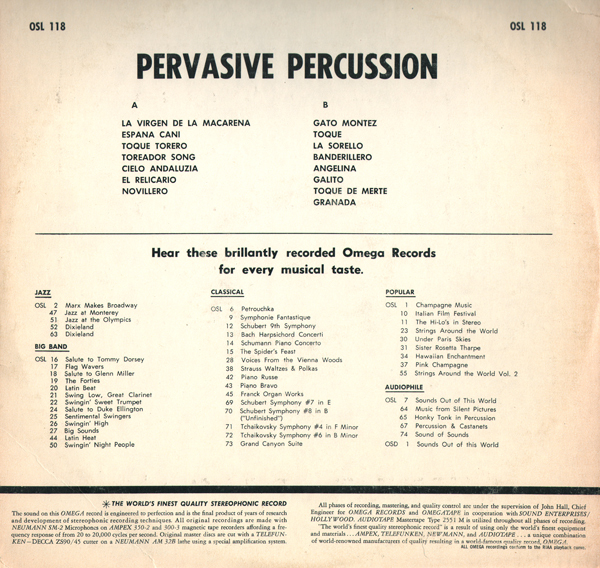 The album title, catalog number and songs titles on the back cover match the record label and cover information. Now listen to the music sample! WTF?!!! 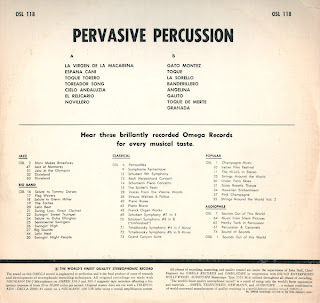 When I bought this album, I only glanced at the track list and it didn't sink in that the titles are in Spanish! I think the titles are correct. What in the name of all-that-is-good-but-way-stupid happened during production?!! 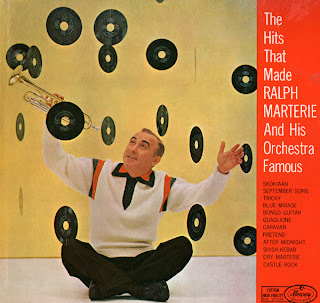 I was pissed because I thought that someone had slipped the wrong record in this cool jacket. I was still pissed when I thought that Omega had pasted the right label on the wrong record. Then I stopped being pissed because how could I continue to hate a record/album that is this absurdly wrong? I did find this same exact same cover online with a "Sutton" label brand in place of the Omega brand, bottom right... but it is apparent that Omega removed the Sutton brand and printed their logo type in it's place. 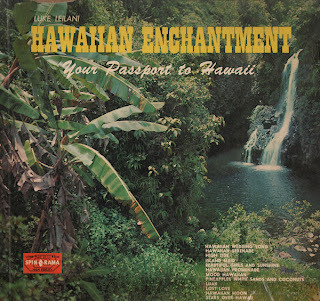 A Product Of Premier Albums, Inc.
Nice Hawaiian steel guitar set that features heavily flavored country swing island music including the sample tune, Beautiful Girls And Sunshine. 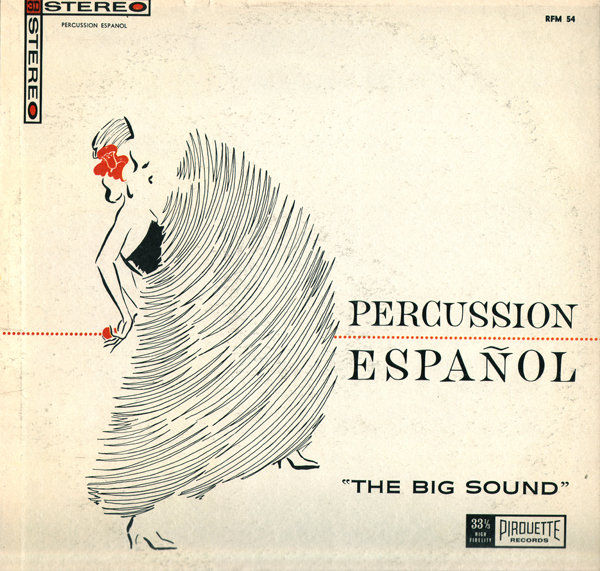 The sample is from the stereo release. Craftsmen? This is the first record I've found on that label. PRI stands for Precision Radiation Instruments, a company who owned the Tops label. 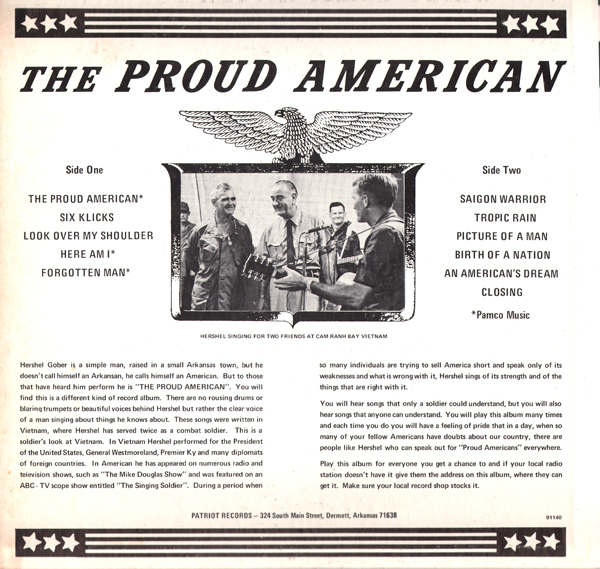 All of the short-lived Craftsmen label albums featured this jacket design which featured a circle inside of the jacket shape. Some records were pressed on colored vinyl. This record was not. The music is pretty budget. The rest of the set isn't nearly as sweet as the sample I cherry picked. The budget "Not An Original Soundtrack" Close Encounters soundtrack. 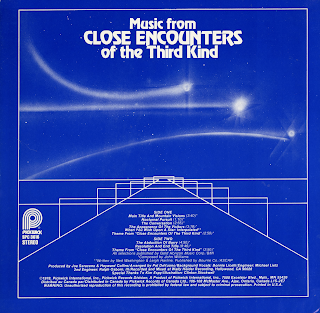 Sometime moog, sometimes disco and sometimes sci-fi mystery cheese, this set blends all three into a danceable cosmic stew. 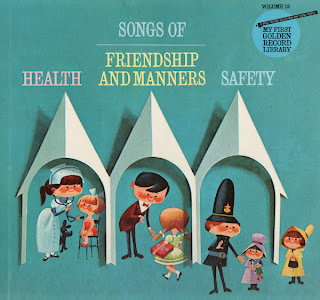 Children records can be charming and sometimes funny as content can age poorly. On rare occasions, for my tastes, is the music fun. 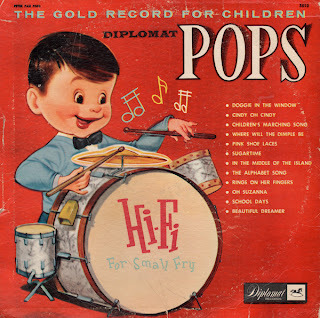 This record, for the most part, is like a slice of space age Hi-Fi easy listening geared towards kids. Nice and you have to love the cover illustration. Presented for your enjoyment is a record I found at a thrift in a silver cardboard jacket blank. The record was apparently a part of a two record set recorded live for the benefit as mentioned above. I only found sides 3 and 4. Not much to be found on Tyner. She get a brief mention in Billboard, June 18, 1949 as one of the opening acts for a show at the "Capitol" in New York. It appears like someone complied a CD of her recordings along with those of a performer named Rose Murphy. Budget set featuring the "Tijuana Brass" sound and one groovy sixties go-go tune. 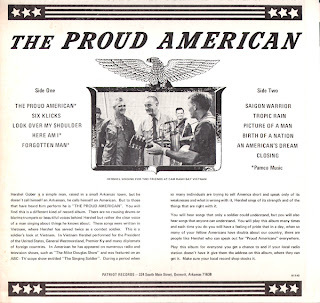 This obscure recording is a great time capsule featuring a soldier's patriotic, sometimes questioning, bitter sweet and honest message. I can find no bio information on Gober. This is a great album if you are looking to collect Marterie's most popular tunes. 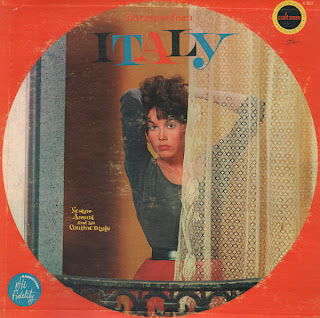 Tunes he charted with including Skokiaan, Pretend, Shish-Kebab (great fun) and an excellent cover of Caravan are on this release. 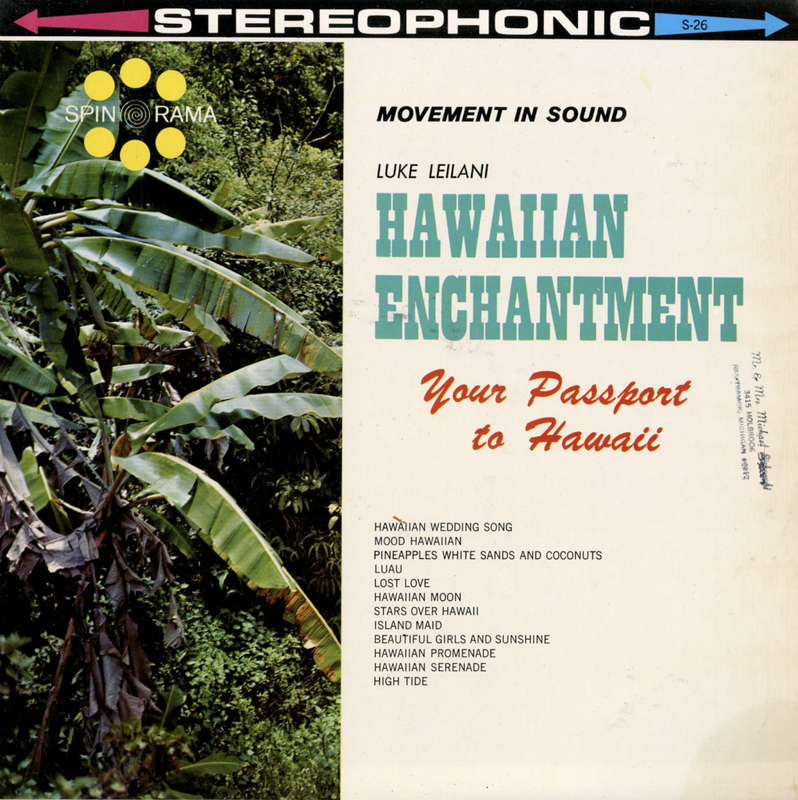 Nice swing with some exotica/space pop mixed in. I didn't have high hopes for this record. 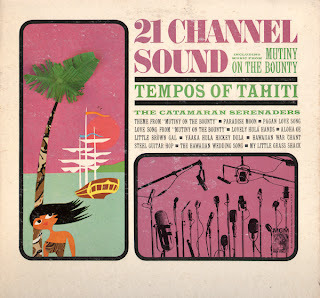 The cover just didn't spark the collecting juices, however, this is the typical layout for a 21 Channel Sound cover. 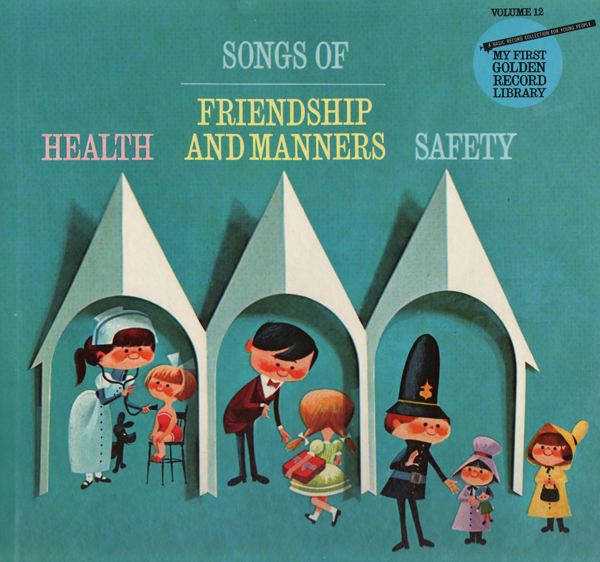 The album is designed as a book-fold after a trend set by Enoch Light's Command label. However, the set is good space-age fair. 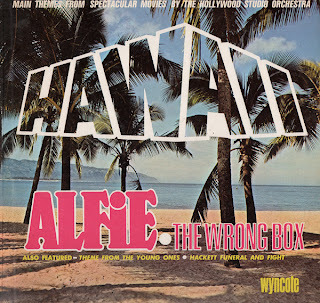 From Billboard - December 8, 1962: Spectacular sound and orchestration make this one of the top collections of Island music, perhaps in part because of the 21 separate channels used by MGM in taping. Most of the tunes are Hawaiian rather than Tahitian in origin, but all are done in lively and listenable fashion that should earn plenty of air play. Included are two themes from "Mutiny On The Bounty." I can't say that this version of Orientale takes space age risks, but it is a pleasant listen and worth collecting if only for the cover art. This album apparently was released, if I can believe the post I found, on Capitol in the UK in 1958 with a different and less effective cover. This was a great find today. Needless to say that cover image is a great collectible. The musical content not at all like I expected. Side one and two are singular pieces of music that blend into one another with no track separation. 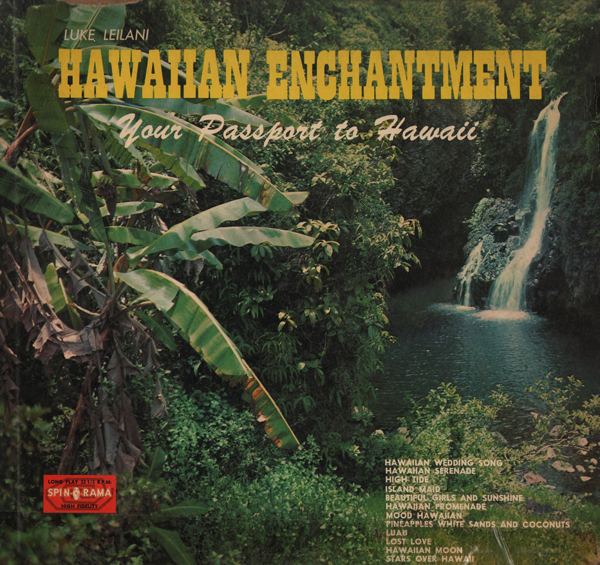 Like any good exotica or soundtrack recording this LP is an auditory adventure that holds your attention from start to finish. 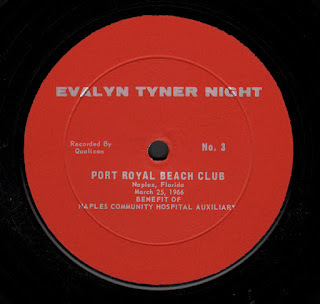 There are several, probably mono covers posted on the web, but this is the only stereo cover. 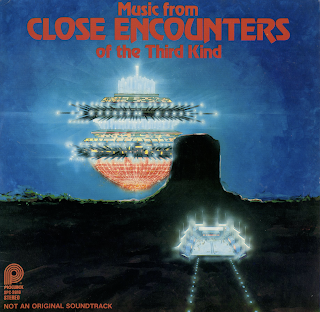 Both the same with the exception of the stereo logo. But I thought that is would be nice to know the release also came in stereo. I can't find any hard bio info on Monese. There is a mention of him in the August 11, 1956 Billboard in an article about VOX releasing a Monese album titled Cook's Tour Of Venice. I usually only post a track by way of sample, but will post side one for you enjoyment. 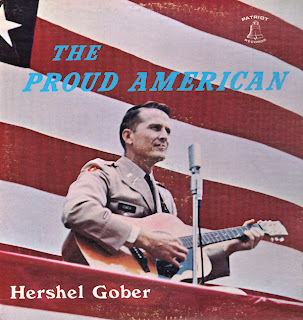 I can't find a release date for this album, but my guess would be 1960. 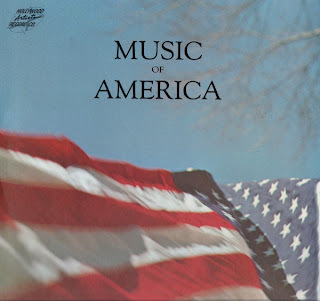 A while back I blogged an album on the TIME label featuring the same title and stylistically similar cover art. I have to assume that one label was following the others lead. In this case, many of the songs lead in with ping-pong percussion, an effect Enoch Light developed in the early 60s. No artists are credited. There really isn't much percussion other than the ping-pong effect. 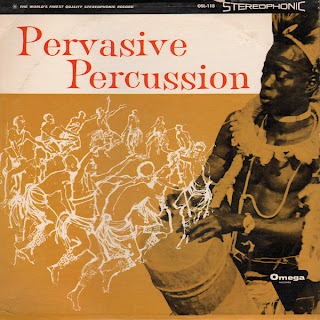 And the percussion effects are only found on side one. Apparently that's was all the budget called for. Side two features no percussion at all. 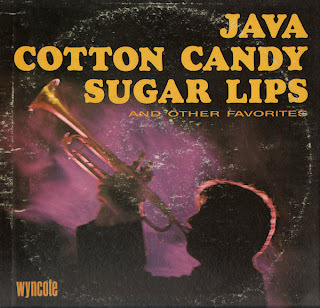 Over all this "Hollywood" budget record, released towards the end of the Wyncote label life span, is good easy listening fare with that 60s light pop touch. The Impossible Lover is actually cool and Hackett Funeral And Fight? I know nothing about the movie that this tune came from (The Wrong Box, 1966), but I love this tune and it is a standout on this album. I bought this record because I was drawn to the outstanding illustration. 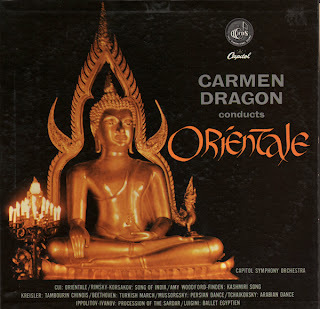 But the music, if you are into exotica and or soundtrack, is an interesting listen. A few passages remind me of the mutants singing to the bomb in the movie Beneath The Planet Of The Apes. Well... it just does! I sampled the first part of the record. Sorry, that's just the way I do things here in The Attic... just a taste. This from the Belshazzar's Feast wiki page: Musical structure: The music throughout is strongly rhythmic, and richly orchestrated. 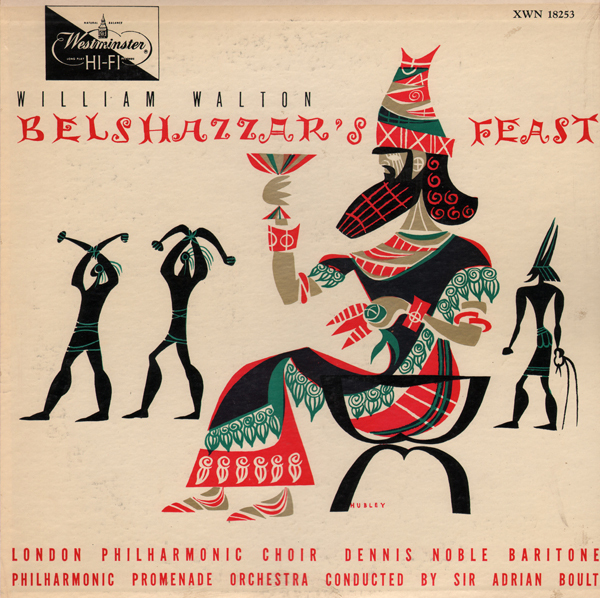 The rhythms and harmonies reflect Walton’s interest in jazz and other popular music, pressed into service to tell a religious story. Despite its jagged rhythms and strident orchestral effects, the work is essentially conventional in its tonality. Walton's biographer Michael Kennedy writes, "diatonicism is at the root of the matter ... stringtremolandi, brass fanfares, and masterly use of unaccompanied declaration work their customary spell." 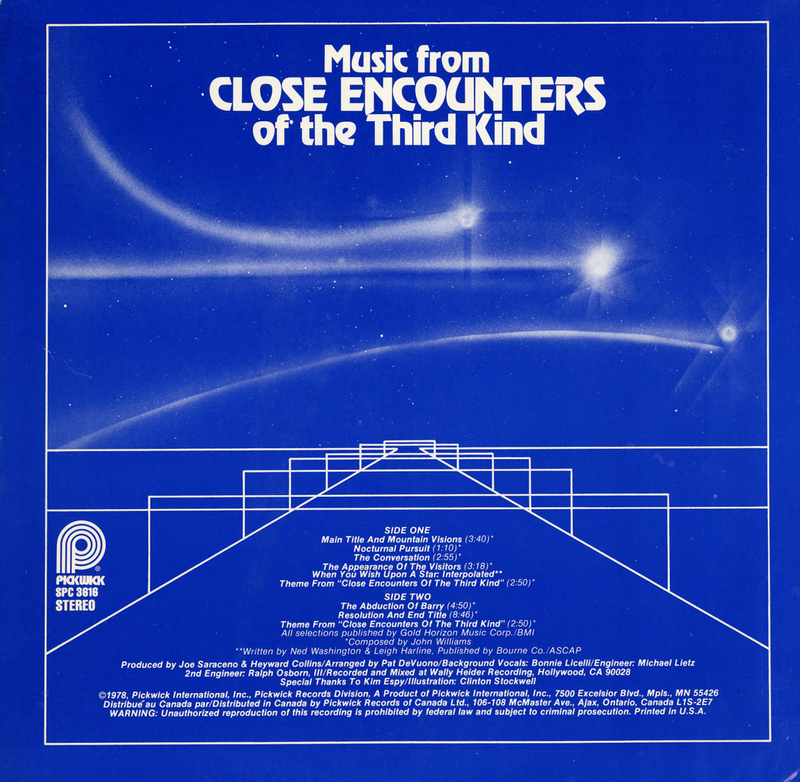 Kennedy adds that the chilling orchestral sounds which introduce the writing on the wall derive from Richard Strauss's Salome. 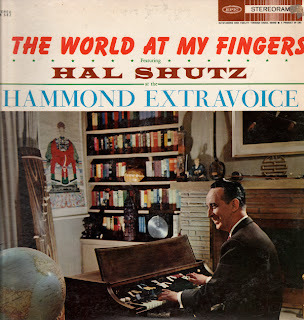 From what I can tell, Shutz made one other album, Organ And Firelight (Columbia, 1956). 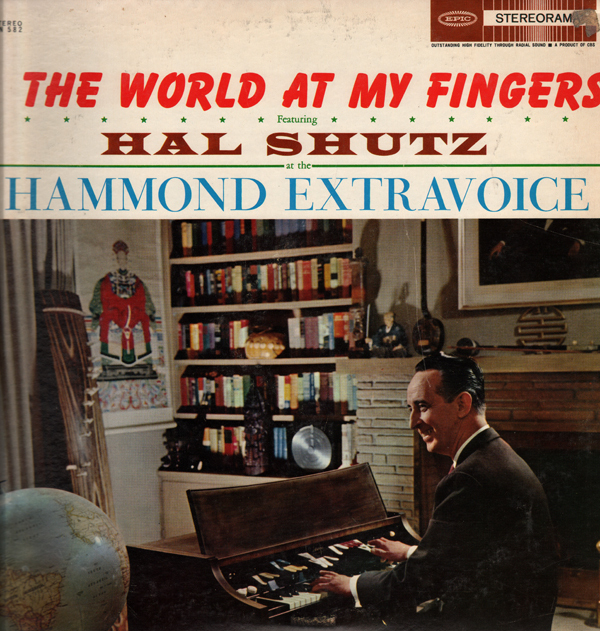 It was offered by The Hammond Organ Company as a demonstration record. This record seems way more obscure. The only other instance I could find was a listing in an Epic ad that ran in the November 7, 1960 Billboard. Here's a gem. Apparently 101 Strings wasn't enough for Somerset and D. L. Miller so they created the lesser known Hollywood Sound Stage Orchestra. From the cover notes the orchestra was a 70 piece affair. It's difficult, or impossible for me to piece together how many "Sound Stage" albums were released. I've got several. They seem to be way budget, more so than 101 Strings, which was a successful franchise for Somerset. 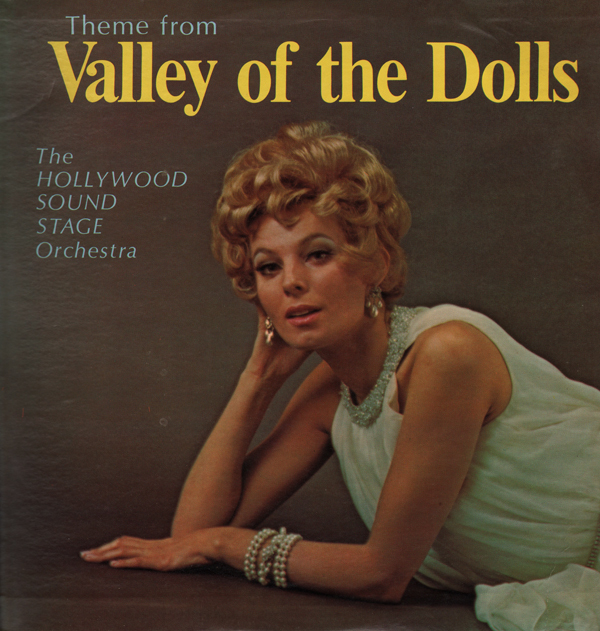 This music is lackluster 60s easy listening that is thematically all over the place. But you can't beat the budget cover! The cover model looks strikingly like Susan Hayward from the movie, Valley Of The Dolls. 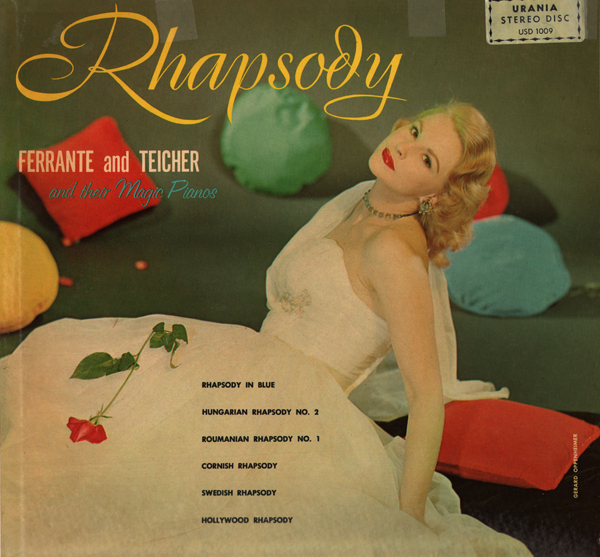 Early Ferrante And Teicher on Urania, a label located in Bellesville N. J. This album, according to the F&T wiki page is their 5th release. I was instantly drawn to the lovely cover. The music is classical and dramatic.